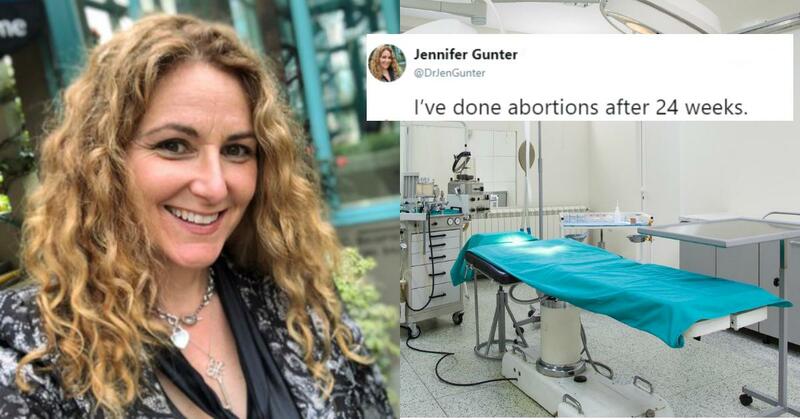 A gynecologist posted a twitter thread about late-term abortions and it's going viral. New York State recently passed legislature that would allow doctors to carry out late-term abortions, and it has people arguing about women's reproductive rights all over the internet. A long-standing argument from anti-abortionists is that late-term abortions are never, ever warranted. 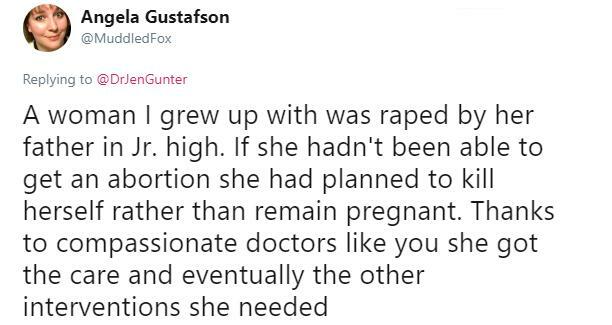 There's a general fear a woman would just decide she didn't want to carry a gestating fetus to term, get cold feet, and just "nope" out of their whole miracle of life situation. 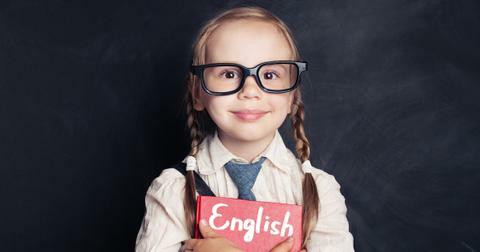 But Dr. Jennifer Gunter thinks that fear is rooted in some really, really stupid thinking. She says that in every case where she has performed a late-term abortion, the women who elected the procedure has a medical indication to do so. 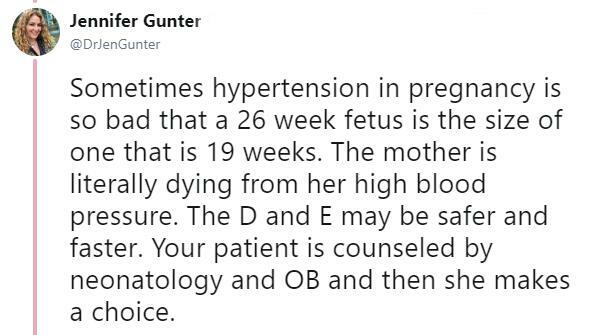 In case you're wondering what "indication" means in the medical field and hate context clues, it means that they were all advised by a doctor to terminate their pregnancy. So, no, women aren't deciding to let human beings grow inside them for months and months, changing their bodies and putting their health at risk (not to mention giving up multiple vices), just to abort their child at the 11th hour. It just doesn't happen according to Dr. Gunter. She began her thread by calling out some of the arguments people, even medical professionals, have disseminated to paint a picture of late-term abortion as "unnecessary." Then she began listing some examples of late-term abortion cases which, while very rare, do occur and are solely carried out in the interest of saving the mother's life. 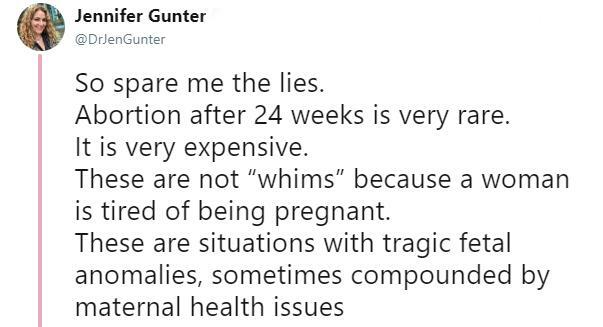 Each one of the instances Dr. Gunter lists reference women who were pregnant with children who had either severe birth defects or weren't expected to survive. To top it all off, the fetuses were threatening the mothers'; health in most situations, so carrying the baby to term would be a huge gamble. 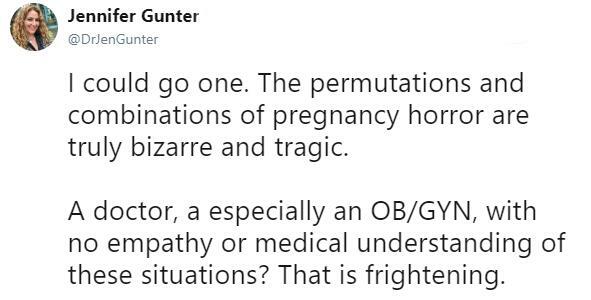 In addition to the examples she provided, Dr. Gunter also gave a litany of medical reasons a woman's life would depend upon a late-term abortion. She also called out doctors who don't inform at-risk pregnant women of all their options. Dr. Gunter also pointed to a nauseating statistic many people would rather ignore: the number of children who are raped and impregnated by members of their own family. It's a significant enough statistic that making late-term abortions legal could help mitigate the physical, psychological, and emotional damage a 12 or 13-year-old girl would face after being forced to carry to term a child conceived in trauma when she is herself still a child. 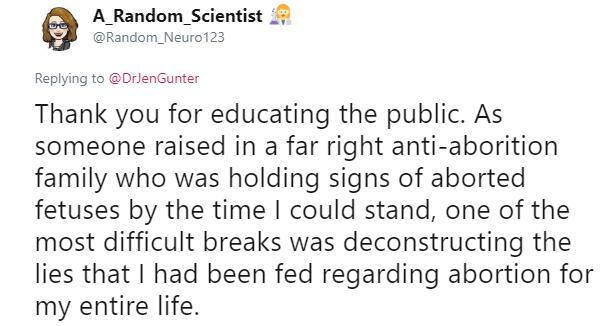 Some applauded Dr. Gunter for the informative breakdown, like this woman who was once a staunch opponent of abortion and was happy she was able to deconstruct a lot of the myths surrounding abortion and how a woman's body handles pregnancy. 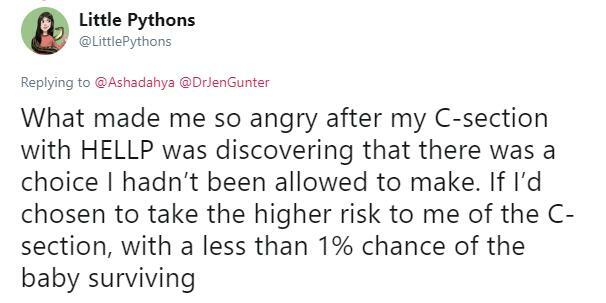 Others shared their own experiences of being misinformed by doctors who either hadn't done their due diligence or withheld all available options from women who had late-term complications. Some were even left out of making major decisions for their own health and well-being during labor. What struck so many women online was the sheer number of doctors who expressed that late-term abortion procedures are "unnecessary" and never warranted. Many of the arguments presented by late term abortion opponents are supported by since-debunked theories, but there are some individuals, including healthcare professionals, who cling to the disproved logic.